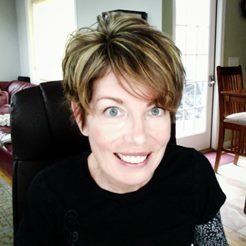 Cranberries are super fruits and the health benefits cranberries offer are numerous. You can often judge a food by its cover (skin or peel) and rich red, dark blue or purple fruits are loaded with nutrients – antioxidants, phytonutrients like anthocyanin and more! The cranberry in particular is know to help "cure" urinary tract infections, not because of the acidity but because of the special nature of its anthocyanin. The nutritional and "super" nutrient benefits of cranberries can only be had to the fullest when we eat the berries. Cranberry juice for example may not deliver all of the wonderfully beneficial nutrients that cranberries contain. During the Fall and Winter months, I like to make cranberry sauces of various types. I love the smell of simmering cranberries with fruits and spices. 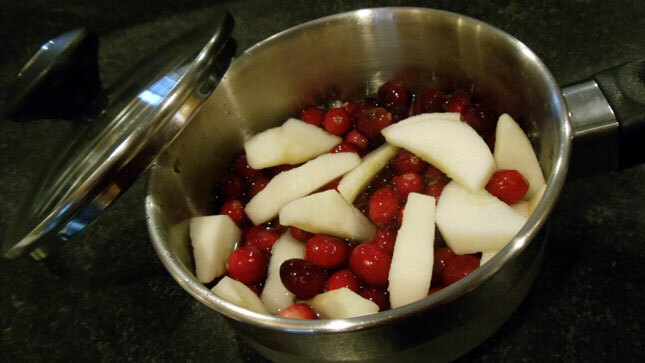 One of my favorite cranberry recipes is Cranberry Apple Compote. 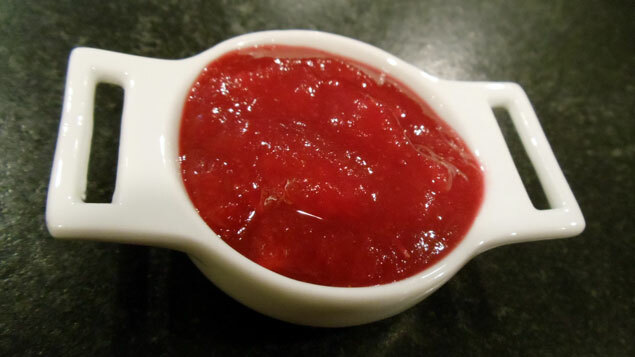 This compote/sauce is not as tart as plain cranberry sauce is due to the addition of apples and a few other ingredients. This is a great way to introduce cranberries and tart flavors to your little foodie. Please note that Cranberries are not "true" berries and they are not know to pose any allergy risks. 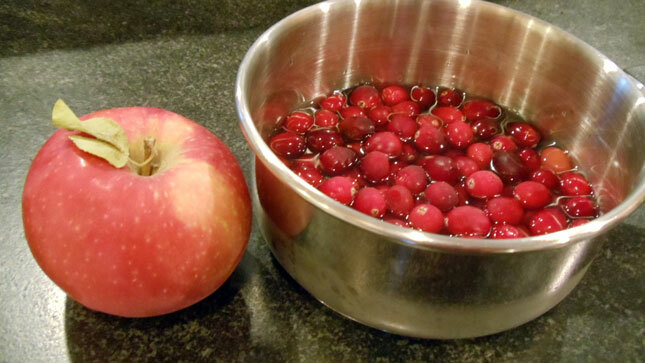 Cranberries are acidic however and could cause a rash on your baby's mouth or bottom. Step 1: Bring all ingredients to a boil on the stove-top. Step 2: Simmer together until a sauce/compote consistency is reached. Step 3: Allow to cool and store in the refrigerator for up to 5 days. Freezes well but may need to be reconstituted with water when thawed. Puree if needed and serve alone, with yogurt, mixed into cereal, mixed into sweet potatoes or butternut squash or even into mashed potatoes.